Smash vases by hopping in them and try not to fail. Just play this funny creature. 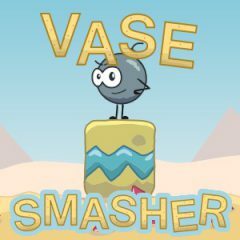 Don't miss a good chance to have fun and destroy the vases. Just jump inside and destroy every single vase to unlock a portal!